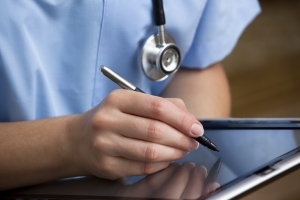 Healthcare Information Technologies Performing Very Well in Overseas Markets ? The healthcare IT of Korea has expanded to global markets such as the Middle East, Asia, and Africa, and is performing very well overseas. Especially since the number of the cases in which professional medical IT companies and big corporations centered on medical institutions are jointly entering foreign markets is increasing, this package type expansion is expected to gain momentum. The consortium of Seoul National University Bundang Hospital and SK Telecom formed a contract to export Best Care 2.0, the next-generation hospital information system, with Health Affairs, the Ministry of the National Guard of Saudi Arabia, in June, and started to build the system last month. This is the very first case in which a medical institution and a big telecommunication company have jointly entered the overseas medical IT market. Best Care 2.0 is the next generation hospital information system created by ezCaretech last year. This system was built in Seoul National University Bundang Hospital and is being successfully operated. The consortium plans to construct the system in one hospital this year and in five more hospitals next year. In addition, they plan to establish a joint venture with the government of Saudi Arabia and export the hospital information system to other Middle Eastern countries. Inje University Paik Hospital built a medical information system at Base Hospital Avissawella in Sri Lanka early this year, and successfully stabilized the system. The system served 42,000 patients during the first half of the year. All the procedures in Base Hospital Avissawella have been computerized, which means there is no need for handwritten records any longer. Furthermore, hospital visit information is available in the system, which was impossible before the program was implemented, so that accurate prescriptions based on patient medical records is possible. Telemedicine systems, which are not doing well in Korea, are welcomed in overseas markets. Soon Chun Hyang University, together with a medical IT company BIT Computer, will construct an international online collaborative treatment system in three local hospitals in Cambodia, including Preah Kossamak Hospital. Through this system, Soon Chun Hyang University will provide remote collaborative treatments and chronic disease management systems to those hospitals. This is the case in which the u-health system of Korea was imported to an official development assistance (ODA) country, and could lead to exports of services and medical tourism to Korea afterwards. Korea Digital Hospital Export Agency (KOHEA) is trying to export its own 3D ultrasonic remote diagnosis (telesono diagnosis) system to developing countries. Telesono diagnosis technology enables ultrasonic images to be stored in a cloud server, transmitted through a 3G telecommunication network, and read in remote places. As nonprofessionals would be able to conduct 3D scanning after a simple training session, this system is considered very useful in developing countries, where professionals capable of reading ultrasonic images are in short supply. Since the competition to predominate the global healthcare IT market is getting fiercer, many professional companies are struggling. UBcare, a strong player in the clinic-level electronic medical record (EMR) market, liquidated its branches in Malaysia and Thailand that it established in 2008 and 2012, respectively. The company planned to penetrate into the medical information market in Southeast Asia based on these two branches, but decided to close them in the end after a series of losses. Platinum MD, the US branch established through the acquisition of a local EMR company in 2012, recorded 1.2 billion won (US$1.18 million) of sales revenue and 600 million won (US$589,134) of operating losses during the first half. Infinitt Healcare, a company specialized in picture archiving and communication systems (PACS) with nine overseas branches in major advanced countries and emerging markets, scored net losses in all overseas branches except the U.S., China, and Southeast Asia. As the Obama administration has mandated EMR starting from 2015, many companies including UBcare, BIT Computer, and Business On entered into the US market with a lot of expectations. However, since competition is very intense following the high growth potential, there was no significant outcome. Competition is also very fierce in Middle Eastern countries, since the possibility of expansion became higher than before due to a partnership between the governments. As the government of Korea and Saudi Arabia formed an agreement last year, many private contracts were expected from the national medical information system business in Saudi Arabia. Yet, since many global IT companies joined the competition, international bidding, divided by projects, took place. Currently, Korean companies as well as many multinational companies including GE, Cerner, and Epic are studying one another carefully to win the bidding over the medical information system construction business for national hospitals of Saudi Arabia.